You know that you or your colleagues need to learn a new skill or technology. You also know that it is more effective to learn with an experienced trainer than on your own. I will help you learn what you need to get started. As developers, testers, managers, Product Owners or Scrum Masters, we constantly have to learn new things. Companies who give their employees a chance to learn and develop their skills have lower employee turnover and higher productivity. You can learn a lot on your own, but it is often easier to get started and more efficient to learn new things together with an experienced trainer. Agile Software Development: Do you want to learn more about Scrum, Kanban, eXtreme Programming or the advantages of "agile"? Do you want to work on strategies to successfully introduce agile software development to your teams and to effectively use it in your day-to-day work? My "Workshop Agile Software Development" is what you are looking for. Software Quality for Developers: What can software developers do to "bake in" quality from the beginning? How should we write specifications, document software architectures, design and test our software? Ask about my "Workshop: Software Quality for Developers" to find out. Test Driven Development: Test diven development is so simple to explain - "Red, Green, Refactor" - yet still difficult to learn and master. In this workshop, you will perform many exercises around TDD. Those exercises will help you to understand TDD, to internalise it, and to use it productively. We will start from zero (what is TDD?) but we will also practice advanced topics (Inside-out vs outside-in, mock objects, object oriented design and TDD, ...). Do you have only little experience with TDD and want to try it out? 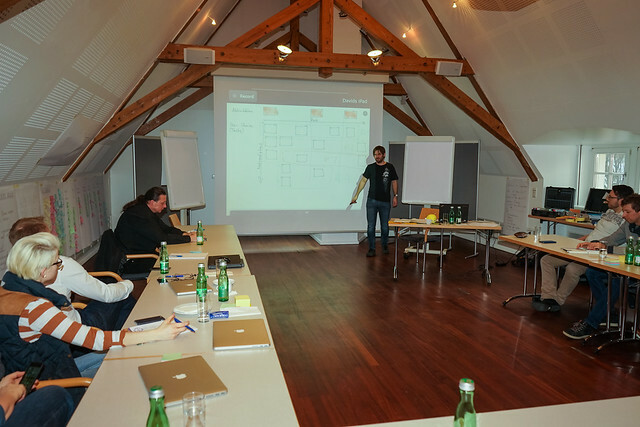 Or do you want to improve your existing TDD skills in a relaxed atmosphere? Join this workshop and practice together with your peers. If you need training in other areas, you can also ask me: I can introduce you to experienced trainers that cover topics where I cannot help you. Do you need somebody who is more involved? Somebody who works with your teams and managers on a regular basis? Then maybe coaching might be a better fit for you. Or do you need help figuring out what is wrong and defining strategies to improve? Maybe consulting is what you are looking for.